The weather has turned crazy. After a painstakingly, long, grueling “sprinter” as we like to call it here in Minnesota (a winter than never ever ended and moved right into spring), we are now faced with one of the wettest, stormiest starts to summer that I can ever remember. On Friday night, while we were out to dinner on the other side of town, a vicious maddening storm swept through the metropolitan area of Minneapolis-St. Paul with a vengeance. I honestly had no idea it was coming save the loud beeping warning blinking on my cell phone saying “flash flood warning”. Within moments of that text, insane winds and torrential downpours of rain struck the streets of Northeast Minneapolis and I was about ready to look for the Arc. It was absolutely insane. The city streets were flowing like an angry river and the gutters had so much water that they were sputtering and shooting up water. The few brave (or stupid) cars tried to drive through the mess while I just stared out the huge glass windows of The Northeast Social wondering what on earth was going on with this crazy weather. An hour after the storm, our drive back to Southwest Minneapolis would prove daunting. Street after street was flooded with water, cars were stuck, trees were down and traffic lights were out. The next morning we would realize how fortunate we were to not be one of the 590,000 homes and businesses around the Twin Cities without power. 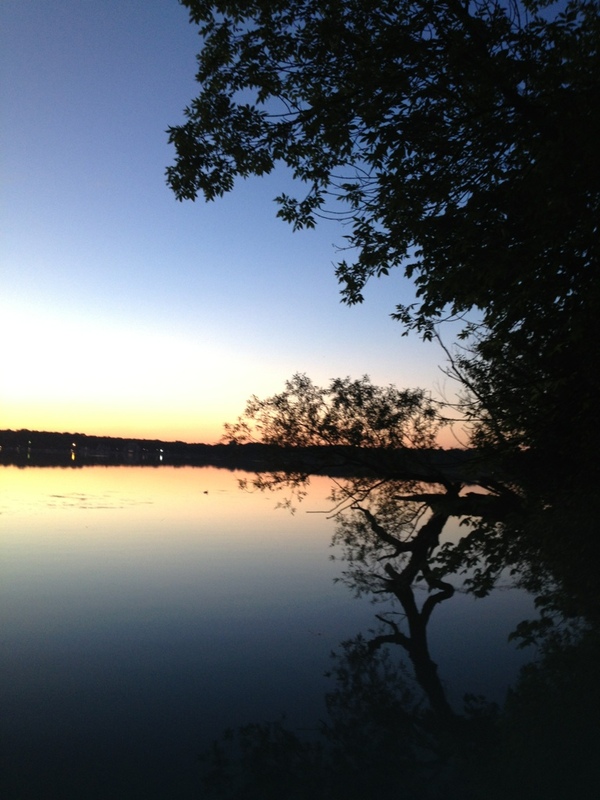 My run around my beloved lake was filled with dismay. Enormous beautiful trees were uprooted and laying across the path. Severe straight-line winds up to 60-80 mph had torn through the Twin Cities tearing out thousands of trees. In fact, the estimate of downed trees is likely to surpass the 3,200 trees lost during the 2011 tornado that tore through North Minneapolis. My favorite Minneapolis weatherman Paul Douglas wrote in today’s Star Tribune that “Friday’s severe straight-line winds created a damage swath consistent with a 15 mile wide EF-0 to EF-1 tornado”. Just plain scary. Meanwhile us hearty Minnesotans are enduring our crazy weather bracing for the next round of storms coming in soon. It is hard to be upset with Mother Nature. 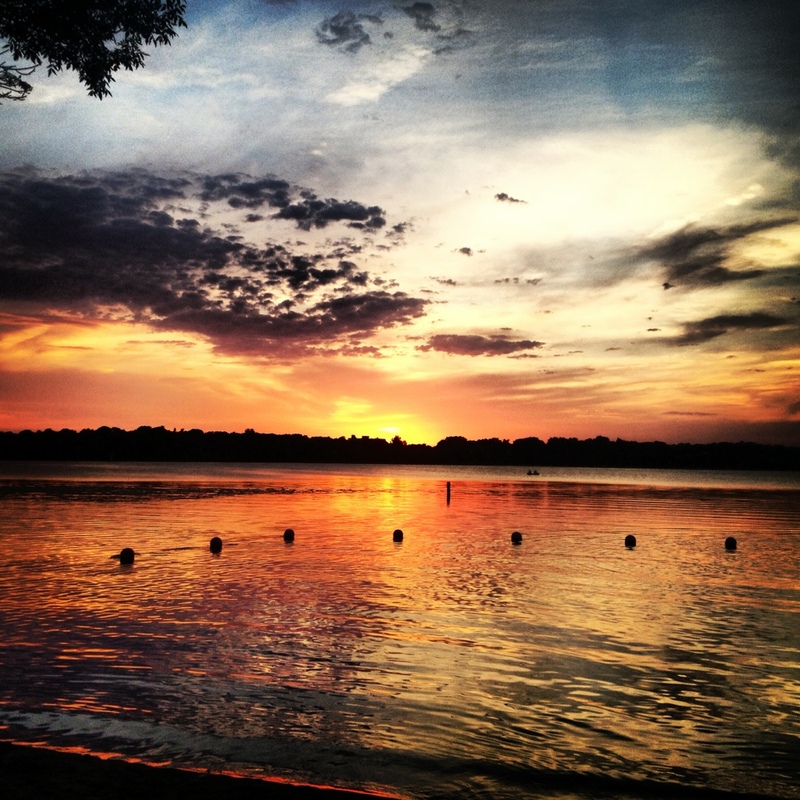 Now that it is finally summer, most of us Minnesotans are going to do what we love best: Enjoy our over 10,000 lakes. With all the storms, comes sensational sunsets late into the night, fresh lake air, birds singing, flowers blooming and the beauty of nature that keeps us here. 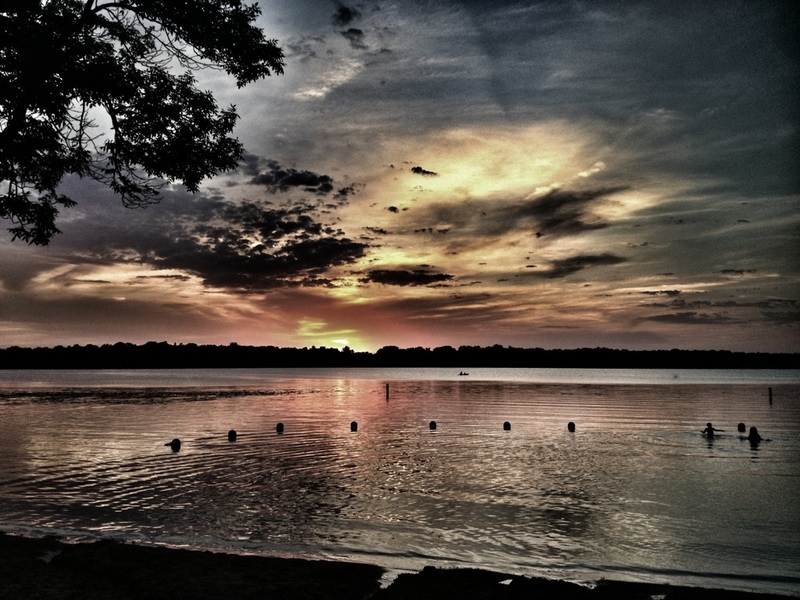 There is no place like Minnesota in the summer. Stay tuned…My computer is in the Apple shop being repaired and may not be back soon as their other store has no power! There is a backlog. Once it is back, I hope to work on my photos from the South of France and share them here. At least you’ve got the most fabulous pics out of that stormy weather, Nicole. I’m sorry to read of all the damage though. It must have been very frightening for those affected. Thanks! Things have calmed down but still a lot of people don’t have power yet. Las fotos son maravillosas, espero que la tormenta no haya causado muchos daños materiales, ni se hayan perdido vidas humanas. Stunning sunsets Nicole! Sunset over 10,000 lakes! Sounds like you’re spoilt for choice! Stay safe. Sounds idyllic!!! Have a great time, Nicole! The lighting effects on the two photos are so different, and each very restful in it’s own way. We have a tourist cabin here in Alaska, and the people in there now are from Minnesota (don’t know where). I’ll bet they were glad to have escaped this storm. All they have to fight with here are the millions of mosquitoes! Thanks! Yes the mosquitoes, our state bird! They are terrible! Alaska sounds amazing! I have not been there yet but really want to go!!!! Really nice set of images. We’ve had the wettest spring, almost unbearably heavy rains. My vegetable garden is just beginning to recover. And the tornado threats were unusual for Delaware. Still, Mother Nature will always reign as far as I’m concerned, and apparently you agree with me. Thanks! Sounds like a lot of the world has had a lot of rain. Northern Europe and the east coast and midwest. Crazy. Stunning images! This has been a wet, wet summer for a lot of places…. Stay safe, Nicole. Thanks Amy! Yes it has. There have also been way too many mosquitos! Thanks Jo! It is a beautiful place. A beautiful series of images. The colour and light is so beautiful. Great photos, but sad to hear about the devastation. I almost didn’t want to ‘like’ this post because of your horrific storms and your Apple computer on the blink…but you always find a way to appreciate even the most horrendous circumstances. I hope the next round of storms won’t be so bad. Good luck and safe travels around the downed trees and power lines. Thanks! It has finally cleared up weather wise here and almost all the trees have been taking away. I am still sad to loose so many but then again this is mother nature isn’t it! Gorgeous shots Nicole. Can imagine how scary the drive back must have been! seeing all of the downed trees and the damage to homes is always so sad. i’m glad that your home was spared. Me too! I would have cried but at least we have insurance thankfully. It is always amazing to me how beautiful nature shots can be on the heels of tragic weather or fires.